Musical Medley performers. Photo by Pranathi Chitta. Two hundred people for an audience was not a barrier for the Musical Medley concert performers. The performance consisted of a variety of acts from Bollywood to American music. 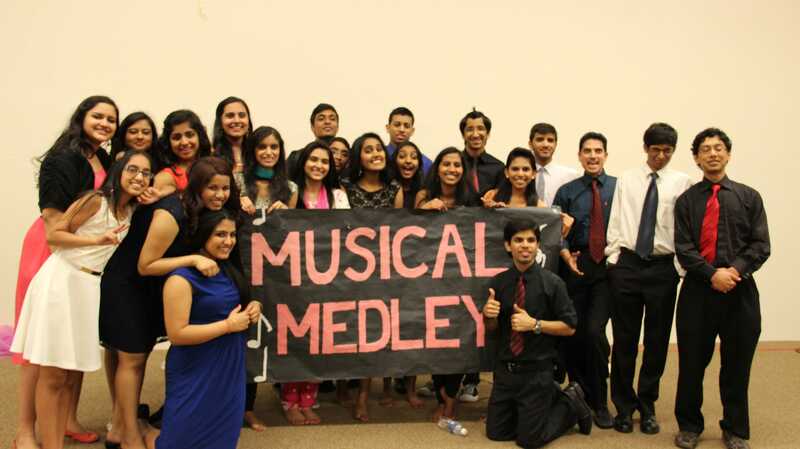 The performance was held at Chinmaya Mission Chitrakoot in Irving. Performers varied from singers to dancers to drummers and pianists. The Make-A-Wish North Texas chapter presented and sponsored this concert on April 19. All funds went to the Make-A-Wish foundation. 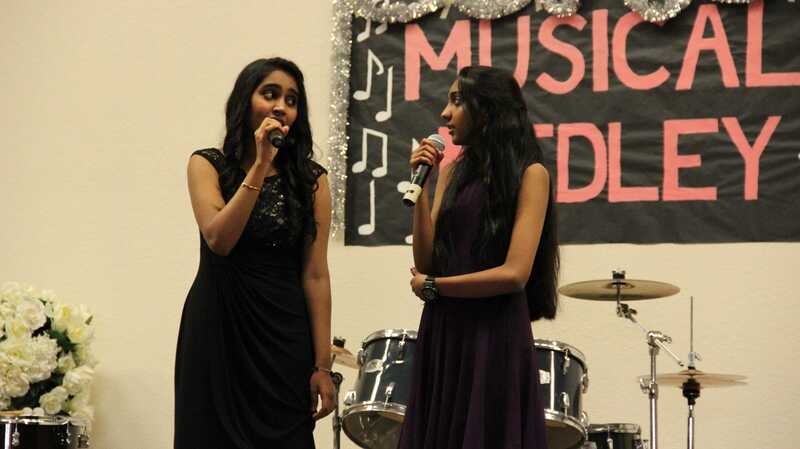 The concert was created and organized by CHS junior Akshara Parashar. Parashar had a lot of support to help her create this grand event. 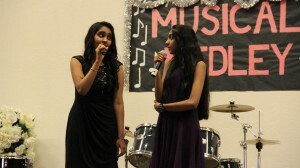 Sisters Akshara and Anjana Parashar perform a duet. Photo by Pranathi Chitta. “My parents also helped me; my mom supported me, while my dad handled all the money related things,” Parashar said. Parashar and the rest of the performers have been practicing for almost three months for this grand event. After a total of 180 hours of practice, Musical Medley performers were ready to express their talent to their friends and family. They raised a total of $5,000. “I was worried as to whether or not I’d be able to pull it off, but I tried my hardest not to show that,” junior Sai Seshadri said. Seshadri emceed the event with fellow junior Sylvia Titus. In addition to the many puns the duo made, they did a great job introducing the following performers. “Since this was my first time emceeing an event, I wasn’t quite sure what to expect,” Seshadri said. At practices, Seshadri would practice her lines in front of other members while some other members were practicing their act. Performers varied from ages 11 to 23. There were also guests such as University of Texas at Dallas a cappella group, Dhunki and Air Crew. Yarlagadda not only performed with Dhunki, but also with Coppell students.